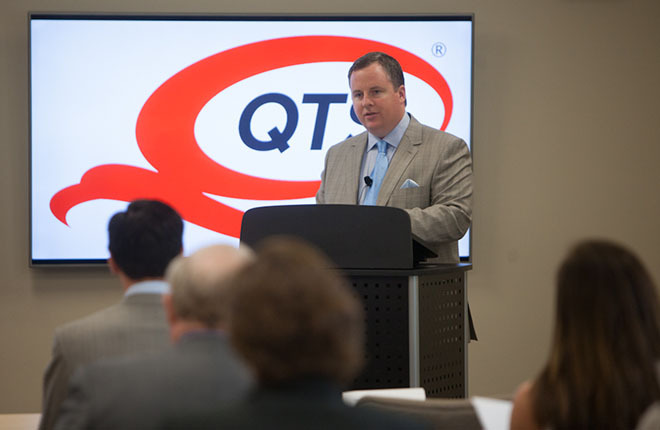 OVERLAND PARK, Kan., Dec. 4, 2018 /PRNewswire/ -- QTS Realty Trust (NYSE: QTS), a leading provider of software-defined and mega-scale data center solutions, today announced a one-year extension of its unsecured credit facility, with reduced pricing and enhanced covenant flexibility. The unsecured credit facility, as amended, is comprised of a term loan in the amount of $350 million with a 5-year maturity, a term loan in the amount of $350 million with a 5.5-year maturity, and a 4-year $820 million revolving credit facility. The revolving credit facility portion also has a one-year extension option. Interest rates can vary based on leverage levels. The current interest rate on the term loans is LIBOR plus 1.3% and the current rate on the revolving credit facility is LIBOR plus 1.35%. This pricing represents a 20 basis point reduction from the interest rate on QTS' credit facility prior to the amendment. The credit facility also provides for borrowing capacity of up to $200 million in various foreign currencies, and a $500 million accordion feature to increase the credit facility up to $2.02 billion, subject to obtaining additional loan commitments. From a covenant perspective, the Cap Rate for assessing gross asset values improved to 7.75% from 8.5% and certain covenants were adjusted to provide greater flexibility or eliminated altogether. 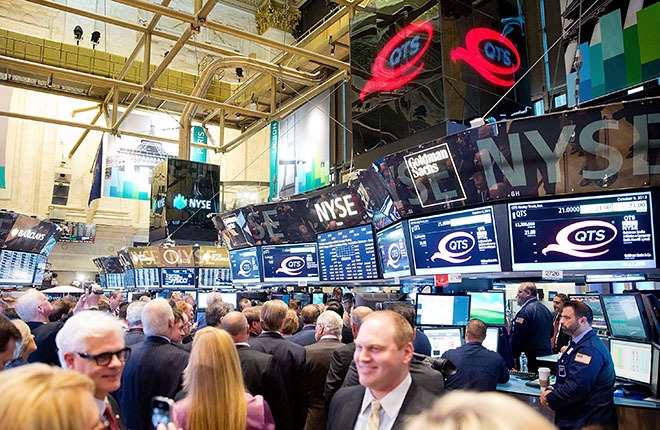 "The new credit facility provides QTS with substantial liquidity to support the continued expansion of our platform," said Jeff Berson, Chief Financial Officer – QTS. "The extended term, reduced pricing and expanded covenant flexibility demonstrate the confidence from our lending partners in QTS' performance and strategic growth plan." 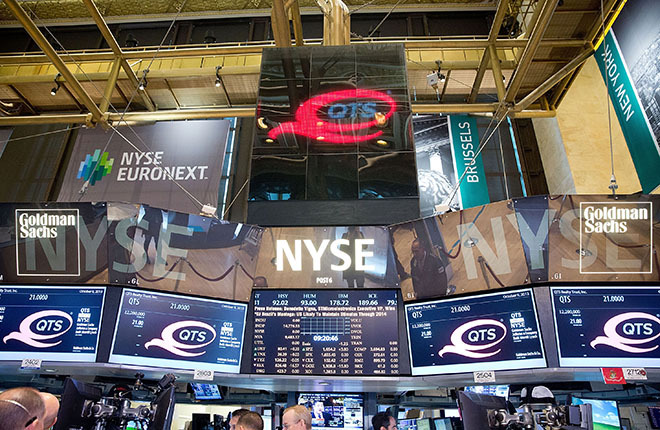 QTS engaged KeyBank National Association to serve as administrative agent and Bank of America, N.A., Regions Bank and TD Securities (USA) LLC to serve as co-syndication agents. Co-documentation agents include Citizens Bank, N.A., PNC Bank, N.A., and SunTrust Bank. Joint lead arrangers and joint book runners for the amendment and extension include KeyBanc Capital Markets, Inc., Merrill Lynch, Pierce, Fenner & Smith Incorporated, Regions Capital Markets and TD Securities (USA) LLC. Twenty-three financial institutions make up the syndicate for the credit facility including three new lending relationships with BMO Harris Bank N.A., RBC Capital Markets, LLC and Santander Bank, N.A.